Ideal for interior, exterior, above or below grade masonry walls, basement walls, retaining walls, foundations, landscape walls, cinder blocks, concrete blocks, bare concrete swimming pools, stucco and brick. Flexible Encapsulated Polymer used for the ultimate in waterproof protection. Formulated for waterproofing all interior, exterior, above or below grade masonry walls, cinder and concrete blocks, stucco, brick, retaining walls, basements, concrete swimming pools and foundations. No pre-mixing or pre-wetting necessary. This product provides clear weatherproof protection against deterioration caused by de-icing salt, gasoline, oil, weathering and efflorescence (white, powdery, salt-like deposits visible on masonry). This product is a clear, non-yellowing, water-based acrylic coating formulated for use on interior or exterior masonry surfaces. Provides superior hardness and durability. 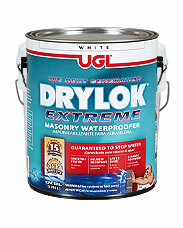 Protects against efflorescence (white, powdery, salt-like deposits) visible on the masonry. 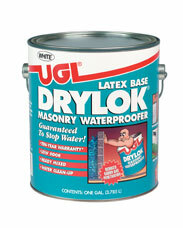 An invisible, durable, one-coat water repellent specially formulated for exterior above-grade vertical masonry surfaces. Minimizes the deterioration of masonry and mortar as well as controls efflorescence and surface staining. 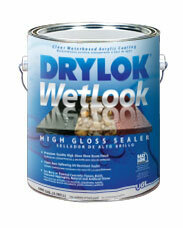 Prevents moisture penetration, eliminates plaster cracking, paint blistering and damp staining of interior finishes. 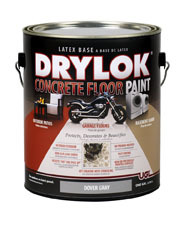 DRYLOK Concrete Floor Paint is specially formulated to protect and decorate masonry floors in homes and industry, both indoors and outdoors. 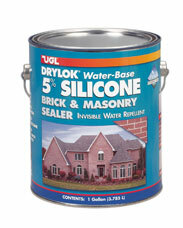 DRYLOK Concrete Floor Paint is a scientifically formulated "treatment" for masonry floors. It outperforms ordinary floor paint under traffic, washings, weather, acids and alkalis. 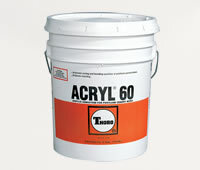 Acrylic, polymer emulsion additive for cement-based powders designed to improve adhesion, tensile, compressive, and flexural strengths. Non-yellowing, water-based ideal for both interior and exterior use. EUCO WINTER ADMIXTURE is a multi-purpose liquid admixture designed to accelerate the normal setting rate of mortar, increase strength development at all ages, and to improve workability. 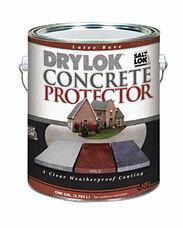 It can be used safely with gray or white portland cement or colored masonry cements without causing discoloration.